The days are just soaring by as the field season hits its high peak. Helping us in this organized chaos is Frances Ratcliffe, volonteering marine biology student from UK. It’s such a help to have an extra pair of hands. We are very glad to have her with us. 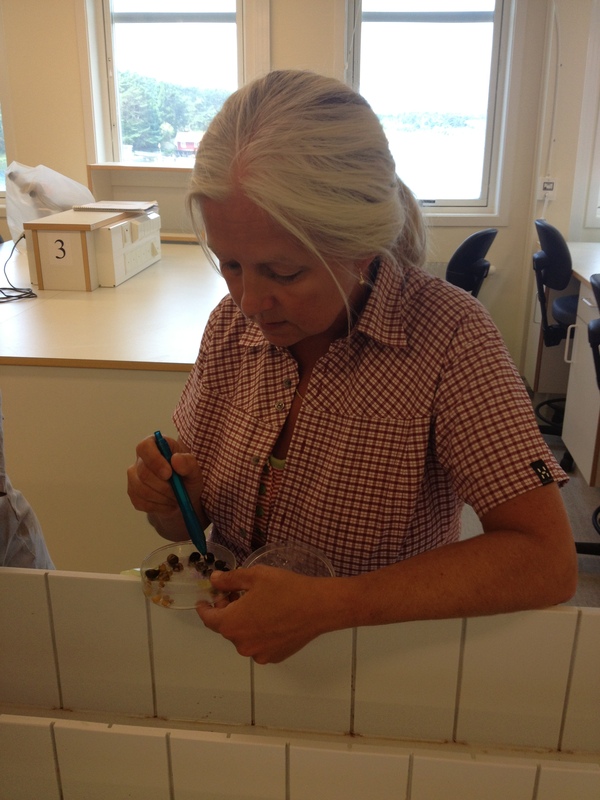 The week before last was spent at the Askö laboratory, were we ran the Baltic Sea part of a two-station experiment wich will look closer on the effects of grazing snails on seaweed. 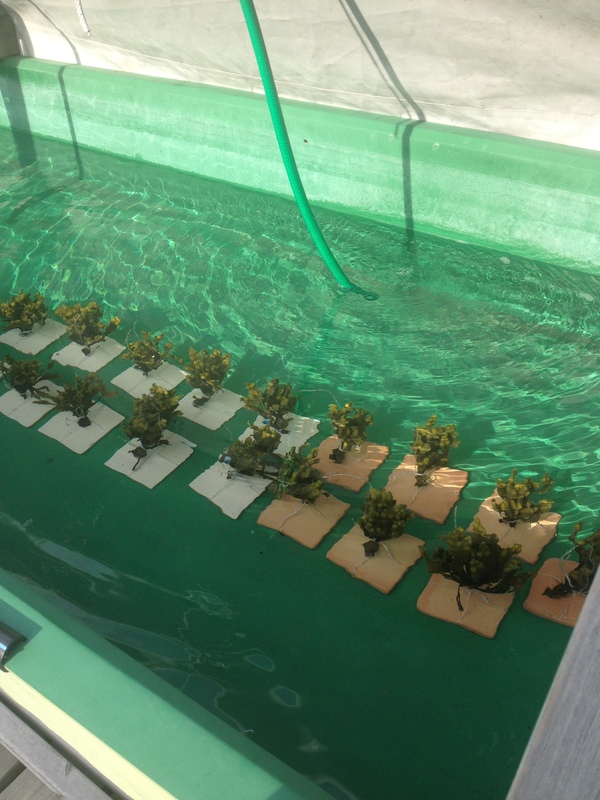 First, we put the seaweed (Fucus vesiculosus and Fucus radicans) grow a while without any grazers, in order to get undamaged tissue. After a couple of weeks, we placed the tips in jars with gastropods (marine snails) and let them graze for a couple of days. We so hope that they were hugry and ate a lot, so that we can see the grazing damage under the microscope later on. 45 jars with gastropods and an even flow of water. Amazing what you can build with a pipe and some hose. Once the seaweed was grazed, we collected some Ulva intestinalis, a green algae, and made it release its spores. <img src="http://tangbloggen.files.wordpress.com/2013/07/entero1.jpg?w=300" alt="Ulva intestinalis spores makes the water go green.” width=”300″ height=”224″ class=”size-medium wp-image-910″ /> Ulva intestinalis spores makes the water go green. 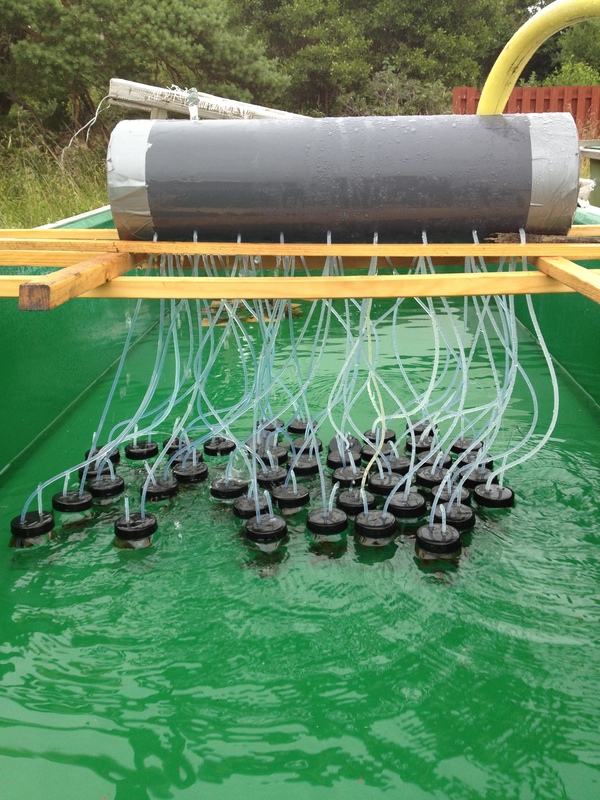 What we hope to see is if the spores will be able to grow on the grazed surface of the seaweed. <img src="http://tangbloggen.files.wordpress.com/2013/07/sdd201.jpg?w=300" alt="We have seeded the grazed seaweed by poruing spores of Ulva intestinalis in the water” width=”300″ height=”224″ class=”size-medium wp-image-920″ /> We have seeded the grazed seaweed by poruing spores of Ulva intestinalis in the water. Let’s keep our fingers crossed and hope that it grows! 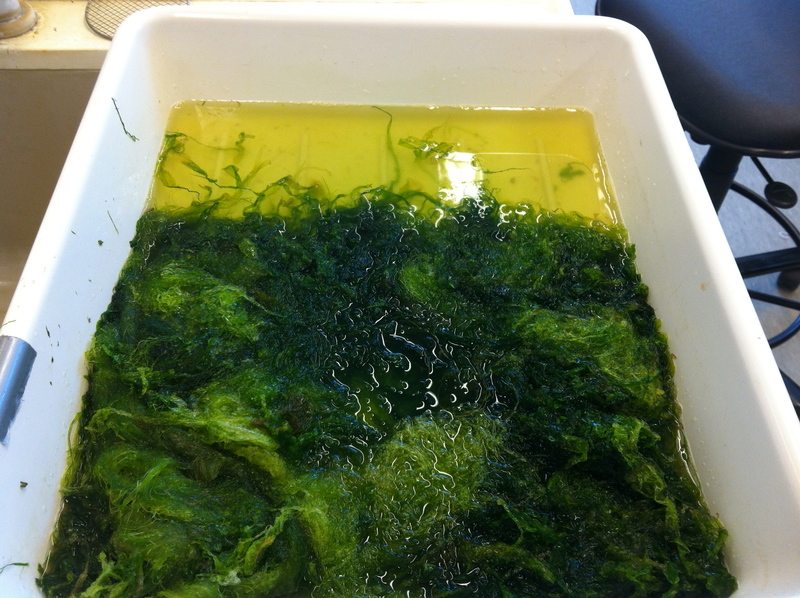 The week that was and this week, is spent at Tjärnö laboratory on the other side of Sweden, were we are running the same experiment, but in saltier water and with Ascophyllum nodosum instead of Fucus radicans and with other gastropods. Our lives have been made so much easier thanks to Marit, who is doing her master thesis together with us. She has tended to our experiment so that we didn’t have to go back and forth between the coasts like crazy. Thank you Marit! 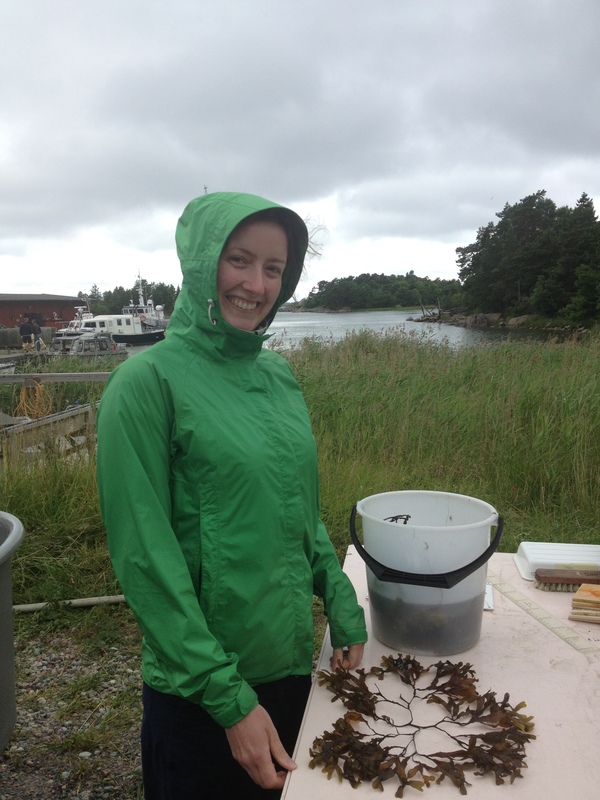 Meanwhile, she has also done an enormous fieldwork on a very interesting study on gastropods and seaweed, that we hope to write more about here on the BalticSeaWeedBlog. Marit shows her disected gastropods. it is always nice to meet and talk about seaweed. We had many nice discussions on this fascinating topic. 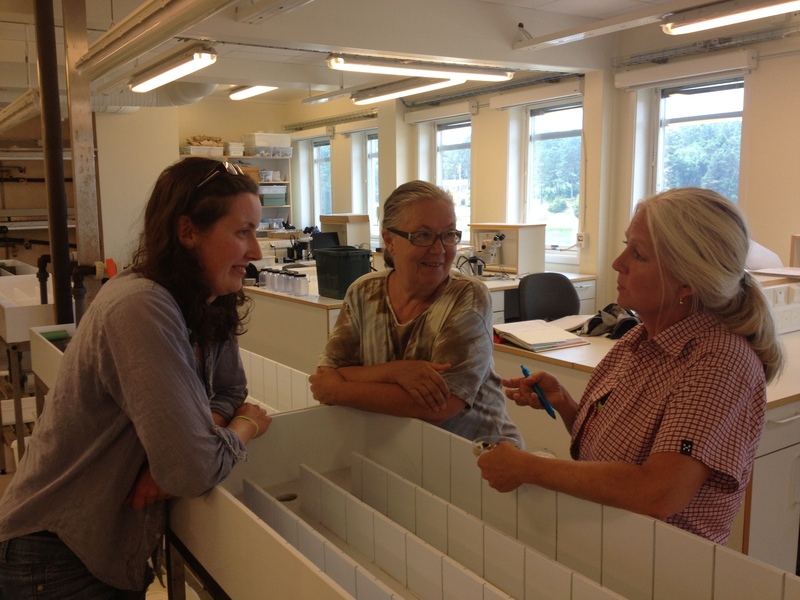 Frances, Marit and Lena discuss seaweed at Tjärnö Laboratory. 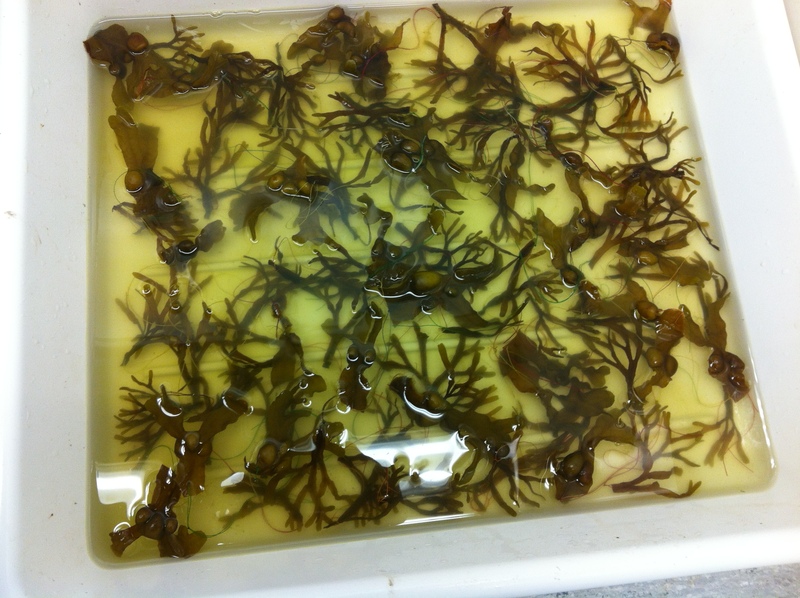 This entry was posted in News and tagged algae, Askö Marine Laboratory, Baltic Sea, bladderwrack, experiment, fieldwork, Fucus, Fucus radicans, Fucus vesiculosus, macroalgae, marine biology, narrow wrack, research, seaweed, Tjärnö. Bookmark the permalink.